The Ganguirar Char is newly designated FNS in Bangladesh (eaaf141). 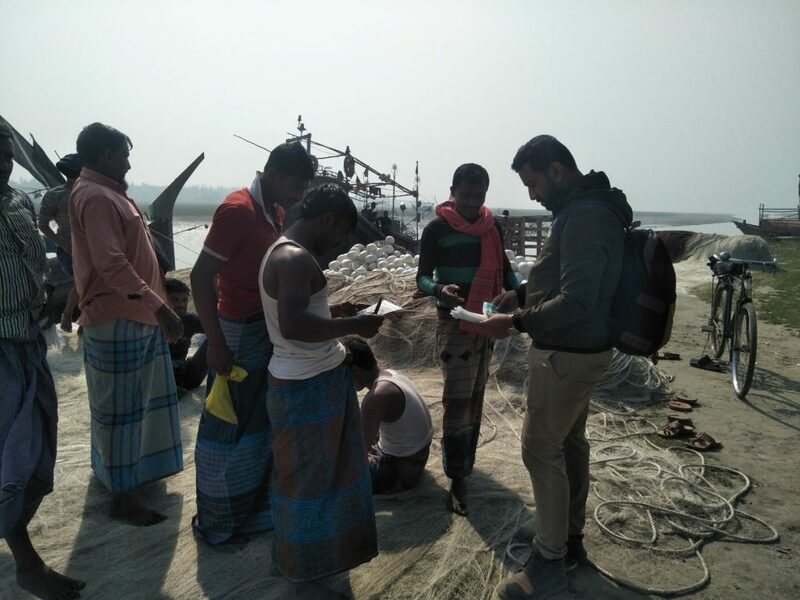 The site is juxtaposed to another FNS, Nijhum Dweep National Park ( Flyway Network Site EAAF 102). The Ganguirar Char has no human settlement and mostly fishermen use the site for a transitional period during fishing. 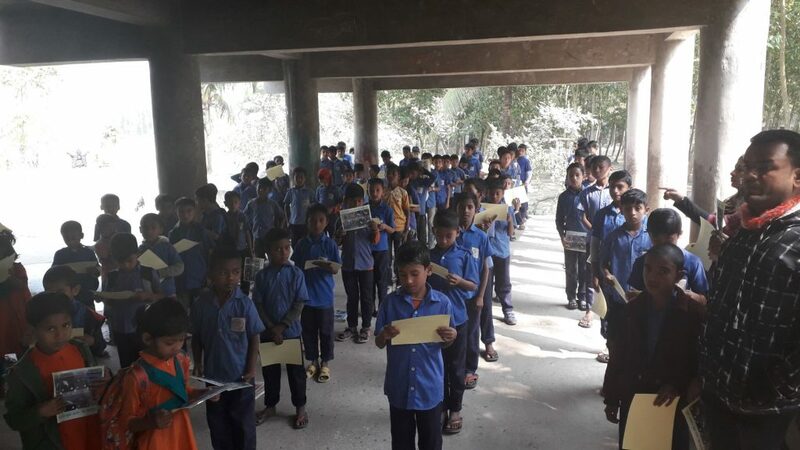 To take under conservation and protection attention of the local community, on January 26, 2019 a school awareness programme was conducted at Bhuiyarhat Government primary high school, Chairman Ghat, Noakhali. 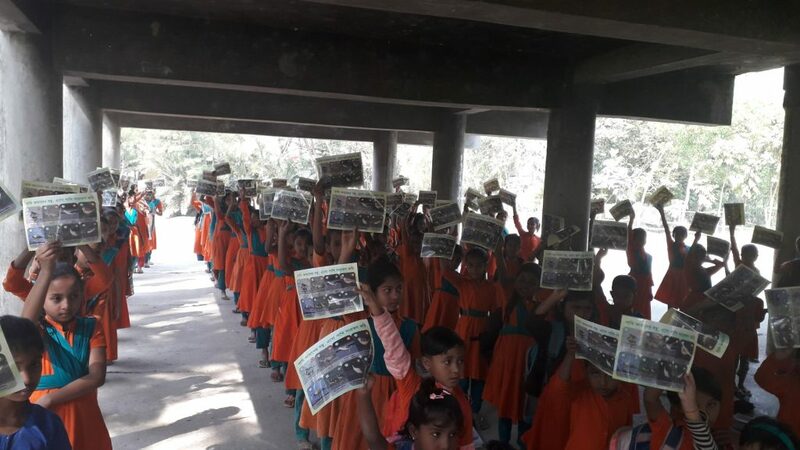 Through the school campaign, future generation has aware of the conservation necessity of wildlife, its habitat and human impact to the wildlife etc. 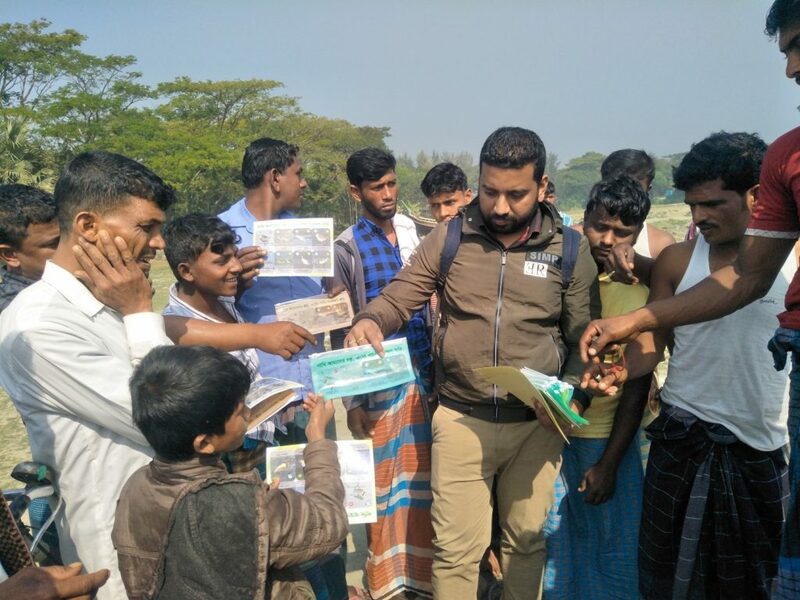 Migratory bird identification sticker and snacks were distributed among them. 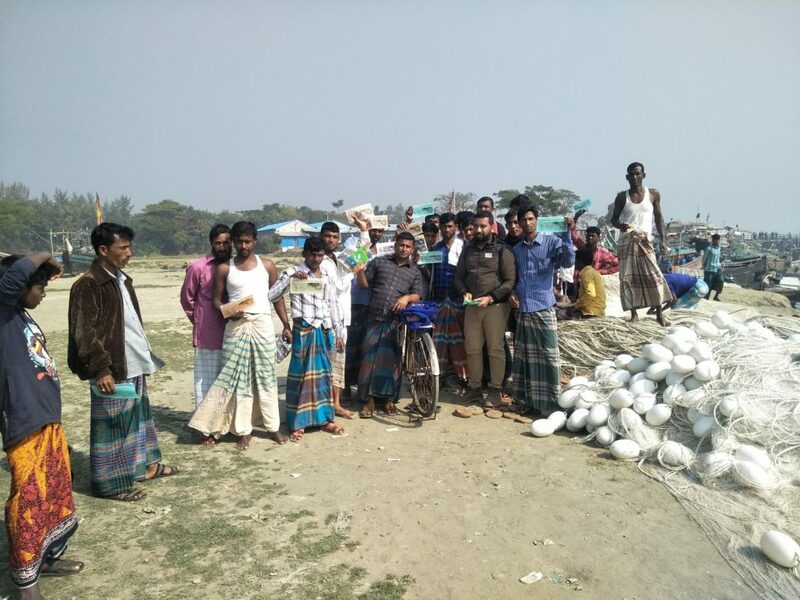 Later on the same day, small groups of fishermen and local stakeholders awareness campaign was conducted and awareness materials were distributed among them.